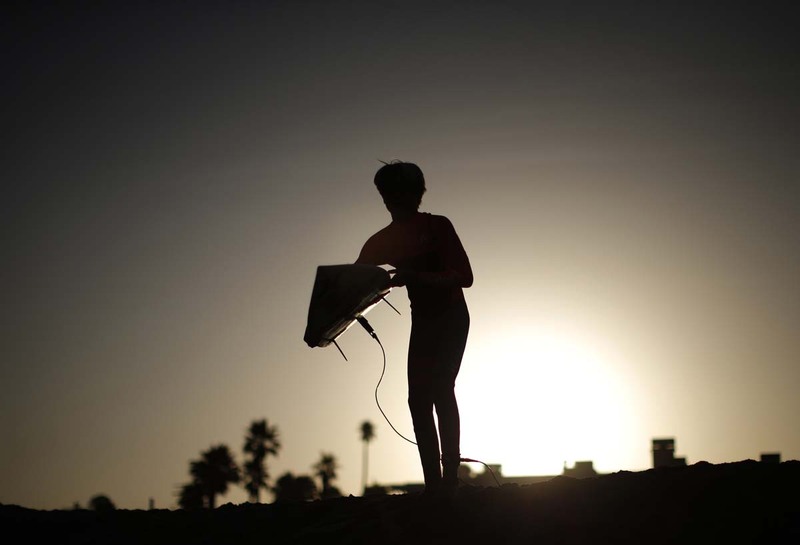 A boy walks towards the ocean on the 10th annual International Surfing Day in Hermosa Beach, California June 20. 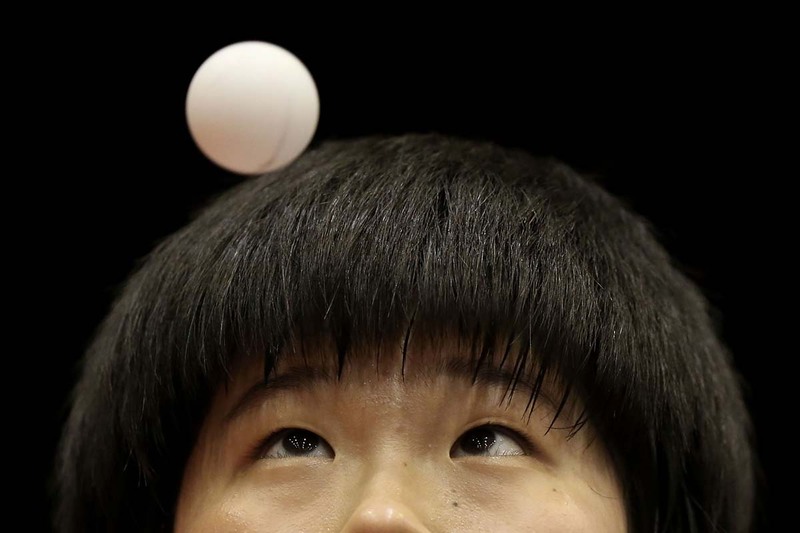 Lee Dasom of Korea serves against Hitomi Sato of Japan in their U21 Girls Singles match during day one of 2014 ITTF World Tour Japan Open at Yokohama Cultural Gymnasium on June 20, in Yokohama, Japan. 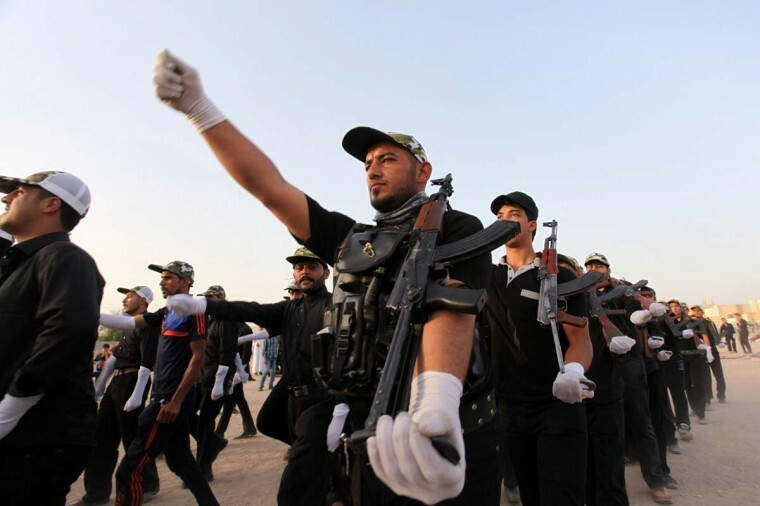 Newly-recruited Iraqi volunteers take part in a training session on June 20 in the southern Shiite Muslim shrine city of Najaf as thousands of Shiite volunteers join Iraqi security forces in the fight against Jihadist militants who have taken over several northern Iraqi cities. Iraq’s top Shiite cleric, Grand Ayatollah Ali al-Sistani urged all of its people to unite and expel Sunni Muslim insurgents, as Shiite Prime Minister Nuri al-Maliki came under growing pressure at home and abroad. 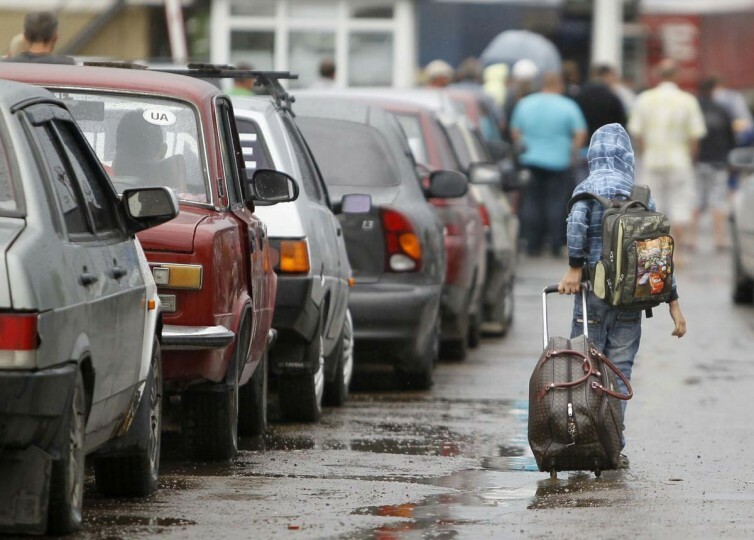 A boy carrying his belongings walks past cars queuing to leave Ukraine at a border post in Izvaryne, along the Ukraine-Russia border, June 20. Ukraine’s defense chief said on Friday government forces had regained control of the border with Russia and could stop supplies being sent to arm pro-Russian separatists, but fighting raged for a second day. 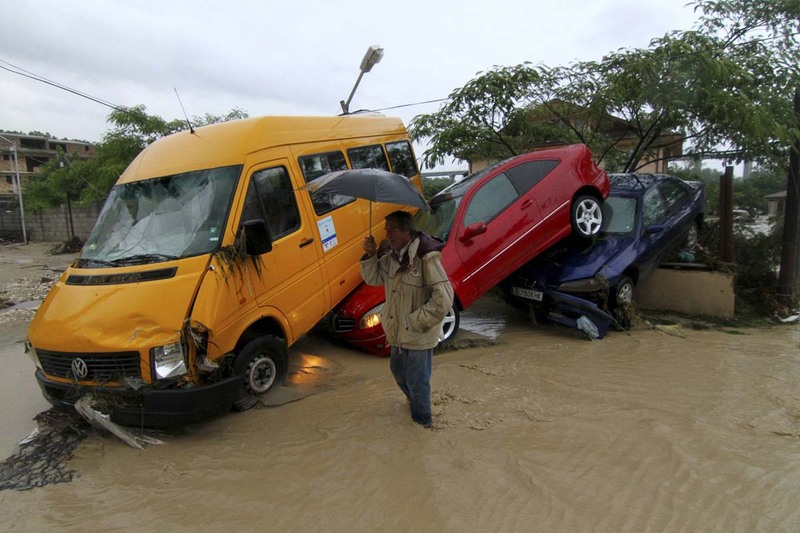 A man walks past damaged vehicles following heavy flooding in the city of Varna, north-eastern Bulgaria June 20. Torrential rains and floods hit Bulgaria on Thursday, killing at least 10 people, cutting off electricity, blocking roads and sparking evacuations, officials said. 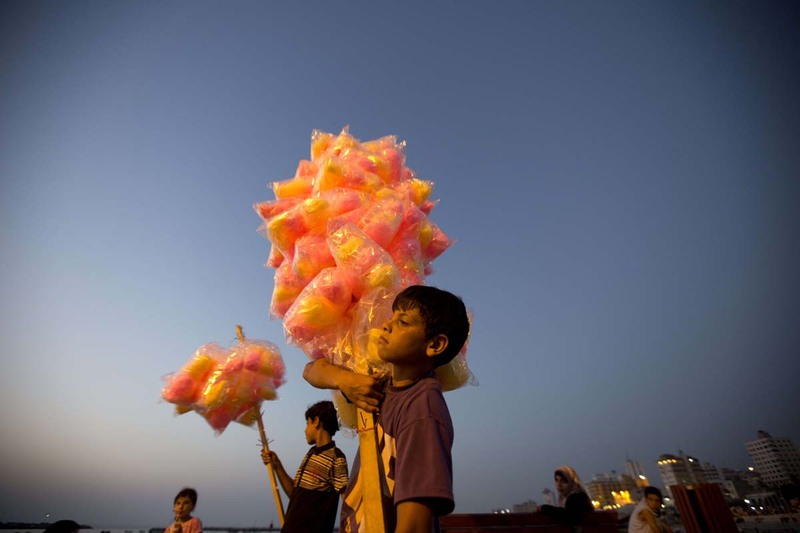 A Palestinian young street vendor sells sweets at the port in Gaza City on June 19. 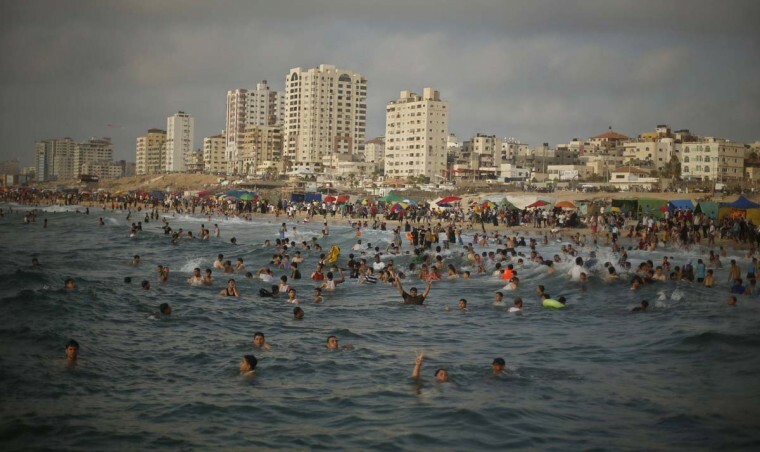 Palestinians enjoy the weekend at the beach of Gaza City June 20, 2014. 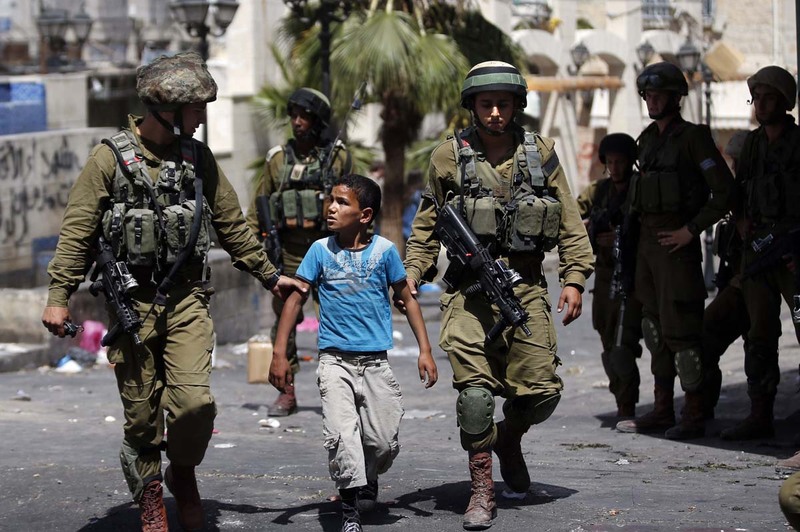 Israeli soldiers arrest a young Palestinian boy following clashes in the center of the West Bank town of Hebron, on June 20. Israeli soldiers killed a 14-year-old Palestinian in the occupied West Bank as they pressed a crackdown on the Islamist movement Hamas in their search for three missing Israeli teenagers. 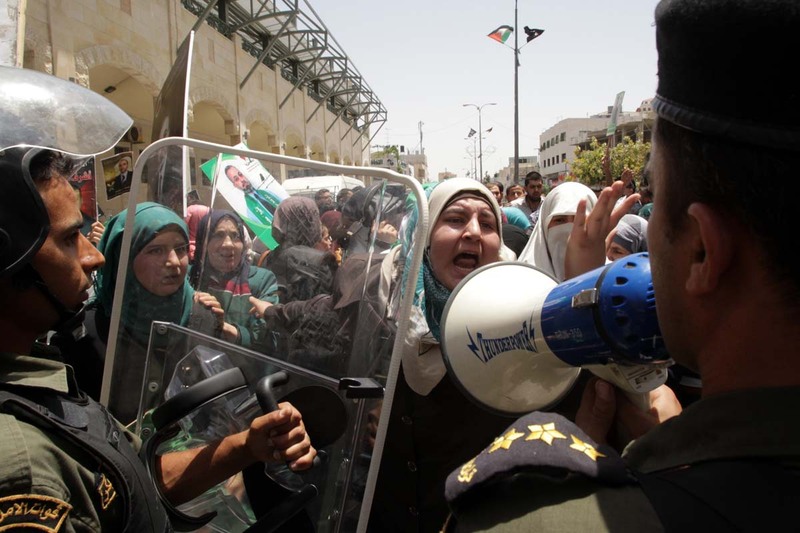 A Palestinian woman gestures talking to an member of Palestinian security forces after protesters were asked to stop a demonstration gathering Hamas supporters to express solidarity with Palestinian prisoners on hunger strike in Israeli jails on June 20, in the West Bank city of Hebron. 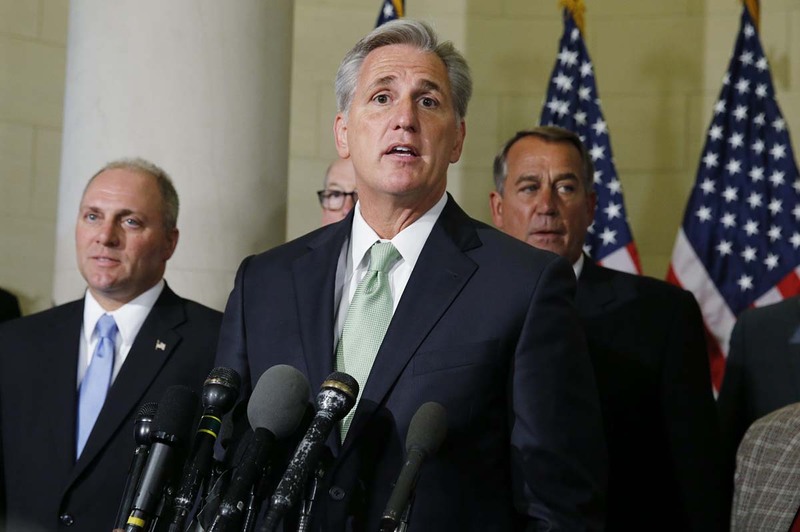 Newly elected House Majority Leader Kevin McCarthy (R-CA) speaks to the media with new Republican Whip Rep. Steve Scalise (L) and Speaker of the House John Boehner (R) after House Republican leadership elections at the Longworth House Office Building on Capitol Hill in Washington June 19. House of Representatives Republicans on Thursday chose McCarthy, an ally of Boehner for the number 2 job in the chamber, a setback for some conservative lawmakers hoping to use a leadership election to boost their influence. 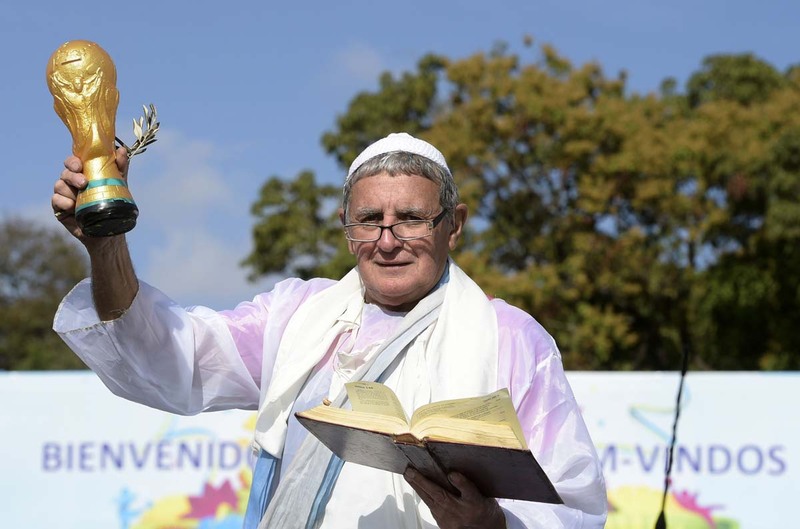 An Argentinian fan holding a replica World Cup poses as Pope Francis at the entrance of “Cidade do Galo”, the base camp of Argentina’s squad in Vespasiano, near Belo Horizonte, some 470kms north of Rio de Janeiro, Brazil on June 20 ahead of their 2014 FIFA World Cup Brazil Group F football match against Iran to be held on June 21, at The Mineirao Stadium in Belo Horizonte. 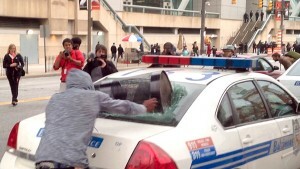 Policemen chase away a protester during a demonstration of artists and entertainment workers, known as “intermittents du spectacle”, near the Regional Directorate of Cultural Affairs (DRAC) on June 20, in Lille, northern France, to protest against the government’s plans to reform their status. 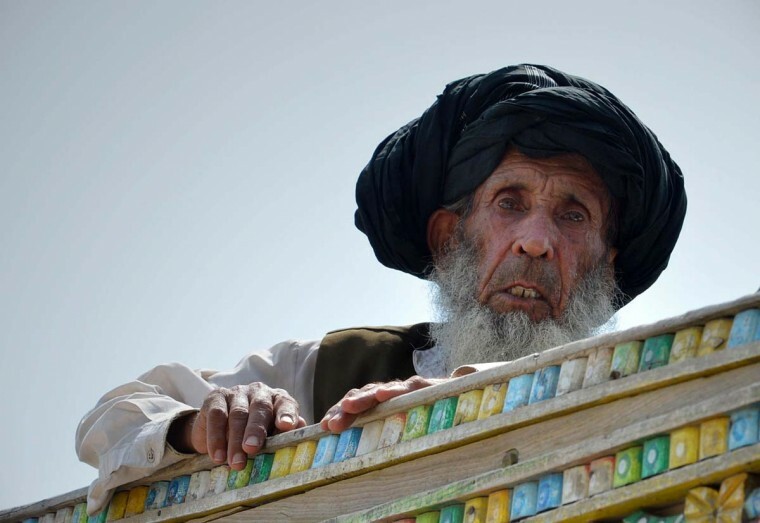 A Pakistani civilian fleeing a military operation in the North Waziristan tribal agency sits in a truck on arrival in the nieghbouring Bannu district on June 20. Pakistani helicopter gunships pounded militant targets in the country’s northwest, killing up to 20 rebels as the number of civilians fleeing an expected ground offensive passed 150,000. Nearly 100,000 people have left North Waziristan tribal area, on the Afghan border, after the military launched a long-awaited assault against Taliban hideouts. 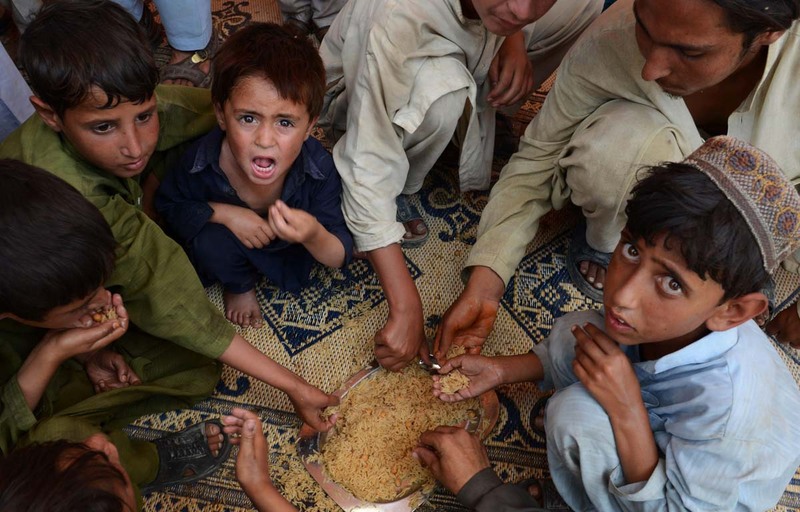 Pakistani civilians fleeing a military operation in the North Waziristan tribal agency eat rice on their arrival in the nieghbouring Bannu district on June 20. Pakistani helicopter gunships pounded militant targets in the country’s northwest, killing up to 20 rebels as the number of civilians fleeing an expected ground offensive passed 150,000. 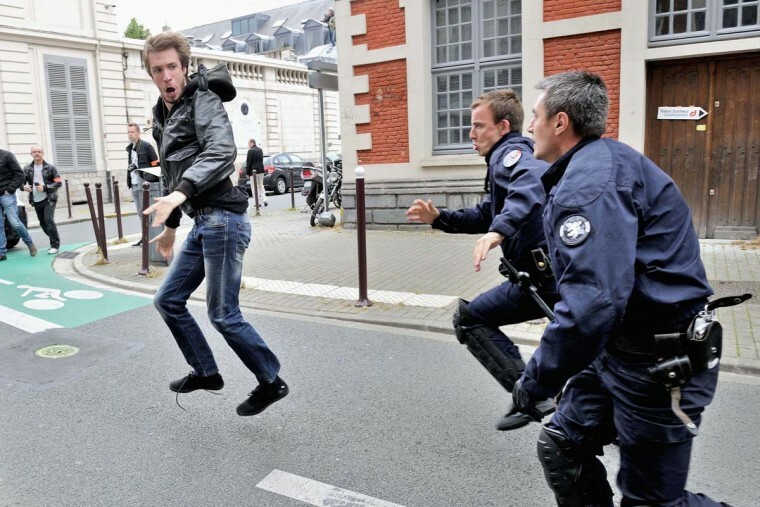 Nearly 100,000 people have left North Waziristan tribal area, on the Afghan border, after the military launched a long-awaited assault against Taliban hideouts. 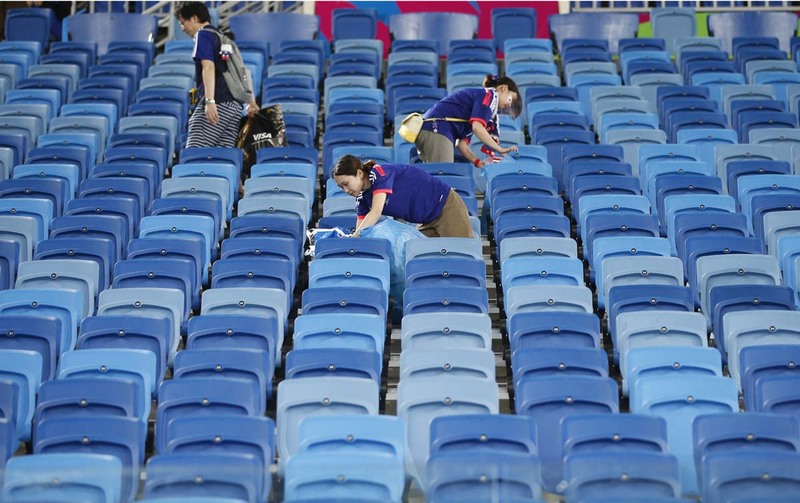 Japanese fans clean up the stadium after their 2014 World Cup Group C soccer match against Japan and Greece at the Dunas arena in Natal June 19.